In the realm of World Gold Coins, the Austrian Philharmonic Gold Coins are anything but ordinary– in fact, they stand alone as Europe’s finest gold bullion coins. Philharmonic instruments adorn one side of these magnificent Austrian Gold Coins. The reverse design is the Great Organ in Vienna’s Golden Concert Hall. These Austrian Gold Coins are an excellent choice for a Gold IRA. 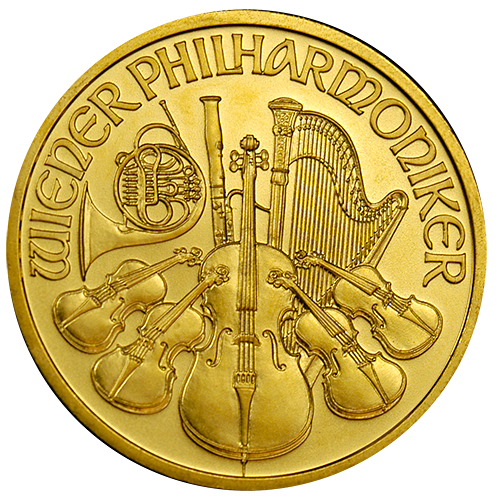 The Austrian Philharmonic is extremely popular throughout Europe as official legal tender, Government-guaranteed gold bullion coins. 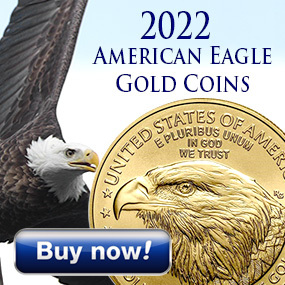 The combination of their pure gold content, extraordinarily detailed designs, and high quality proof-like quality have made them quite popular worldwide and here in the United States. These Austrian gold coins are stunning and elegant in every way. Order one as a gift to a musician friend or just to see and enjoy for yourself. 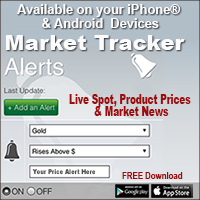 As investments, you can order 25 to 100 or more to hoard away and profit from rising gold prices. These are available at extremely low, competitive premiums.